Growing up I was not a huge fan of jam. My mother used to layer it thick and the clumps of fruit in the jam went down hard. Even when I eat peanut butter and jam sandwiches the jam is a thin thin layer. 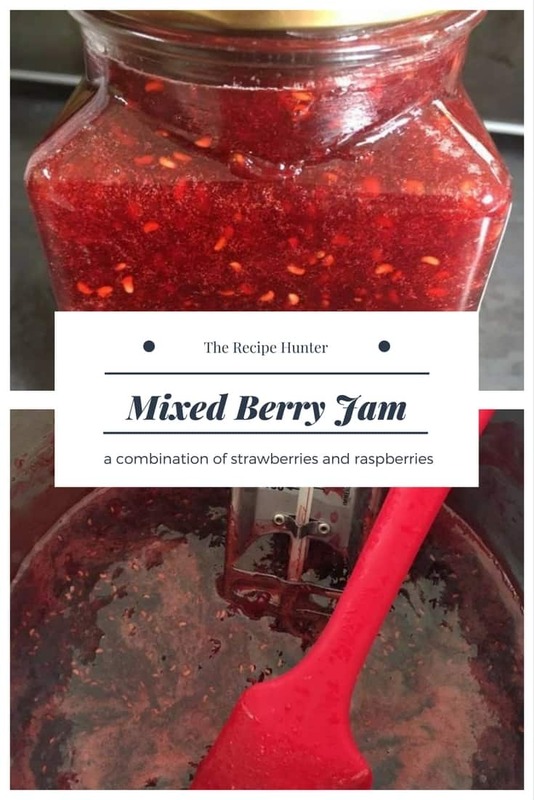 That is until I discovered that making homemade jam is so fun and so easy and if you have a candy thermometer it makes life even more easy. 500g x assorted berries, I used a combination of strawberries and raspberries. In a large pot, bring the berries to a boil. Using a potatoe masher, mash the berries until a smooth pulp. Add the sugar and lemon juice, stirring well. Allow to boil up to the jam mark on the thermometer, if you do not have a thermometer allow to boil till it isn’t runny. The boiling stage takes roughly 20 – 30 minutes on a medium to high heat. Remove from the stove and allow to cool before pouring into sterile glass containers.